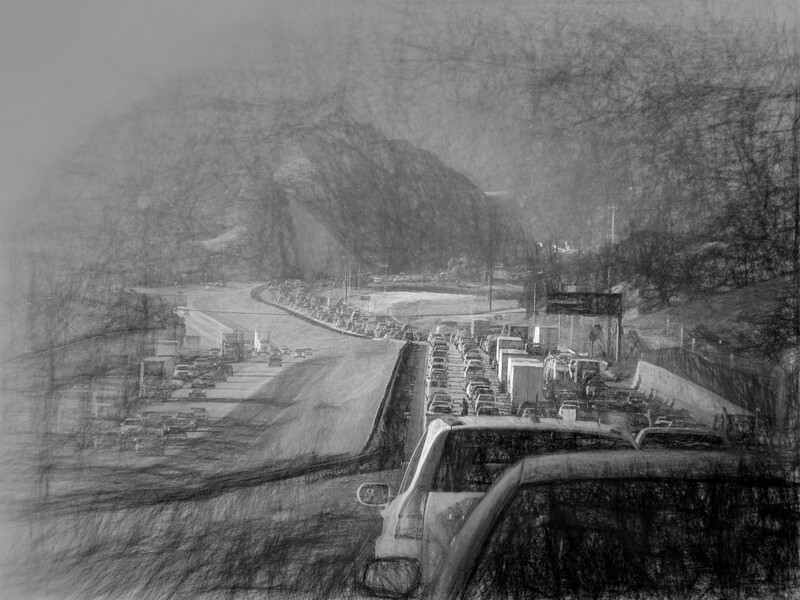 A cool take on L.A.-style traffic using software from Topaz. Photo by Jeff Turner, via Flickr creative commons. Which leads to a final point: Transit doesn’t have to reduce traffic to be successful. Indeed, its central aim probably shouldn’t be serving the people who don’t actually use it. Transit’s best selling point is that it offers mobility to those who, for any number of reasons, can’t or choose not to drive. It also underpins bustling economic activity, pushes people into job centers, and improves long-term sustainability. 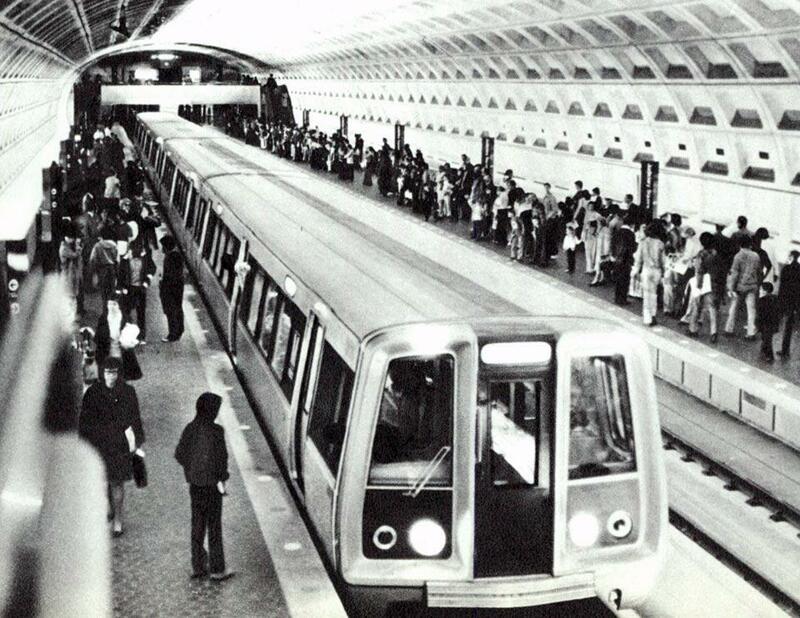 The Washington Metro in 1976. The story of Metro’s transformation from a point of pride to the subject of eye rolling among commuters (as well as a Twitter feed, UnsuckDCMetro, with more than 49,000 followers) is, experts say, traceable to a lack of basic maintenance, a history of inept management and an unwieldy governance structure in which three jurisdictions — Maryland, Virginia and the District of Columbia — share responsibility for the system. The United States was at the height of its car craze when the idea for a subway system in Washington began percolating in the late 1950s and early ’60s. Many cities were carving themselves up with freeways, often destroying poor African-American neighborhoods, said Zachary M. Schrag, a George Mason University professor and the author of “The Great Society Subway,” a 2006 history of Metro. One other point from the article: When the Washington Metro opened in 1976, it was quite a contrast to the New York Subway, which at that time was facing its own set of issues. Perhaps the lesson here is that heavily-used infrastructure is in need of constant maintenance and updates. Or it falls apart. 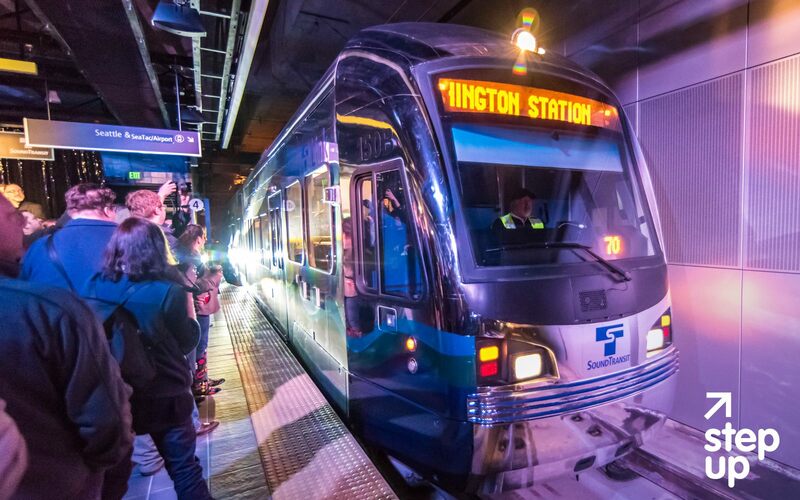 Kudos to Sound Transit and belated recognition in HWR of the extension of the 3.15-mile Link light rail extension that opened last week, including two new underground stations — one serving the big University of Washington campus. ​Sales tax of up to an additional 0.5 percent ($0.50 on a $100 purchase) in addition to the 0.9 percent currently collected. ​Motor vehicle excise tax (MVET) of up to an additional 0.8 percent of vehicle value ($80 annually on a $10,000 vehicle) in addition to the 0.3 percent MVET Sound Transit is collecting through 2028. Excellent advice and a good reminder that the same matter cannot occupy the same space (to quote Van Damme). March 31: things to listen to whilst transiting, tough times at Washington Metro. March 30: transit agency versus complaints about transit agencies.